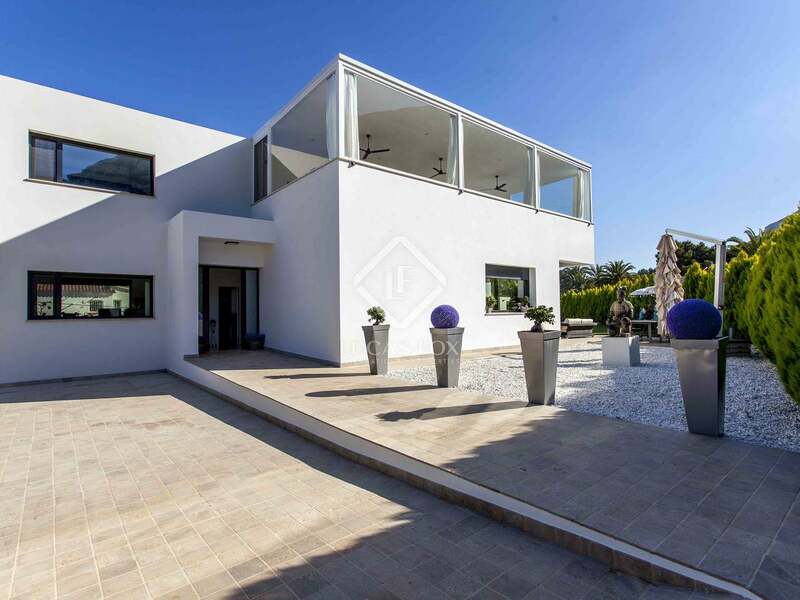 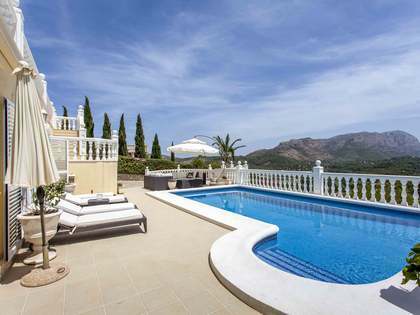 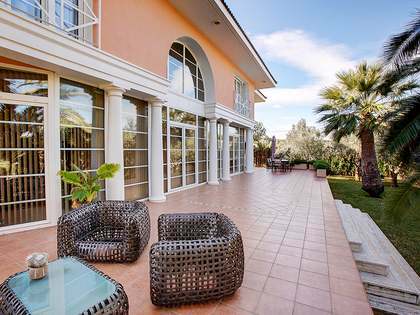 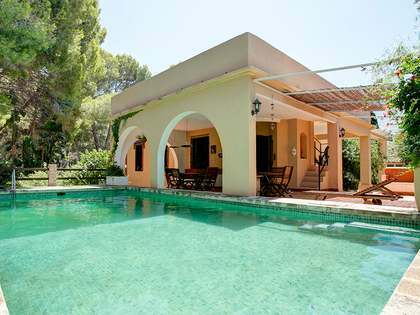 This magnificent villa is situated on a plot with views in El Montgó, just 3 km from Dénia and its beaches. 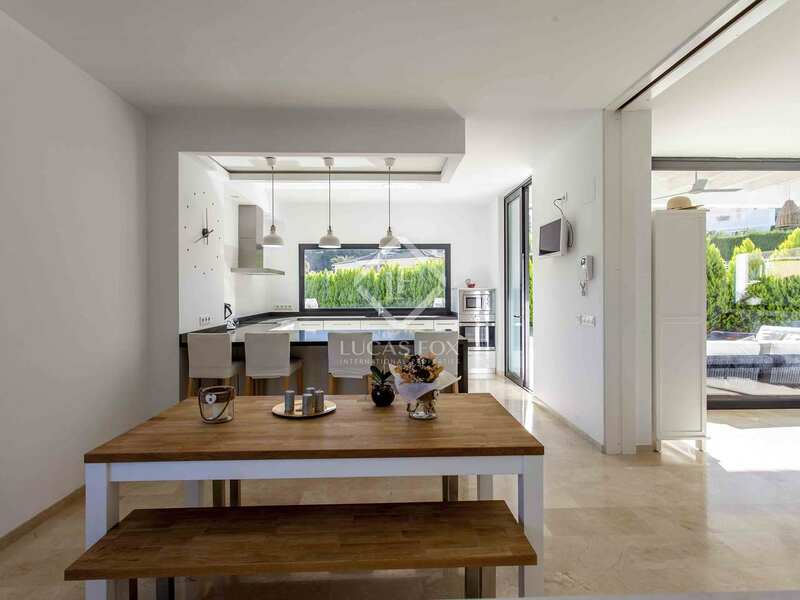 The 300 m² house is distributed over 2 floors plus a basement floor. 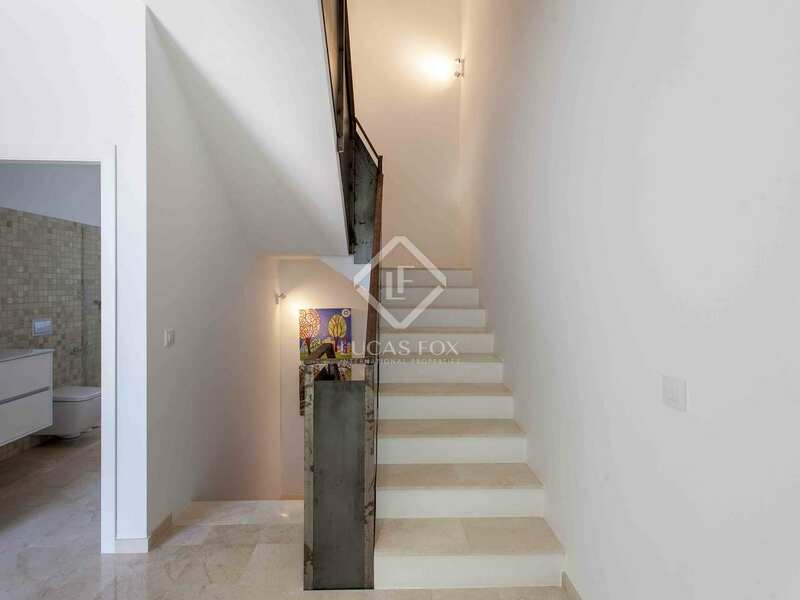 The main floor has a living-dining room with designer fireplace, a separate kitchen, guest toilet and 1 bedroom. 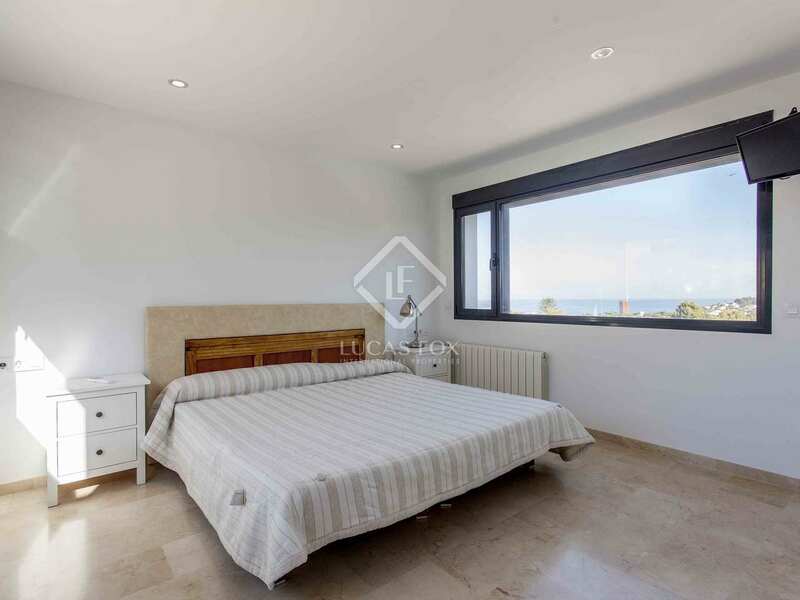 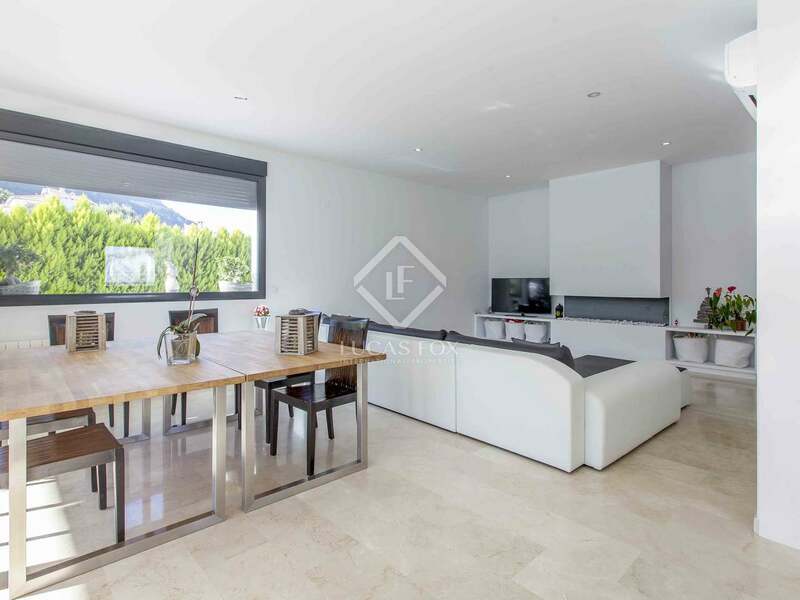 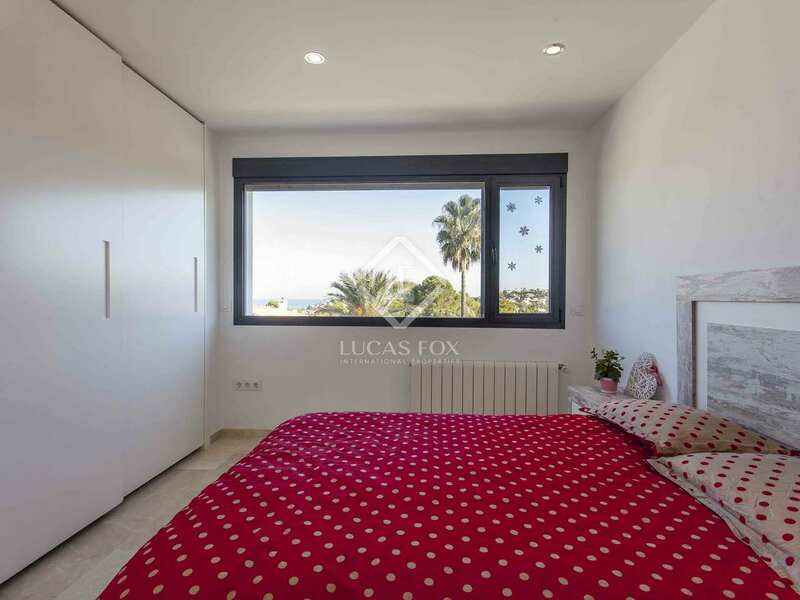 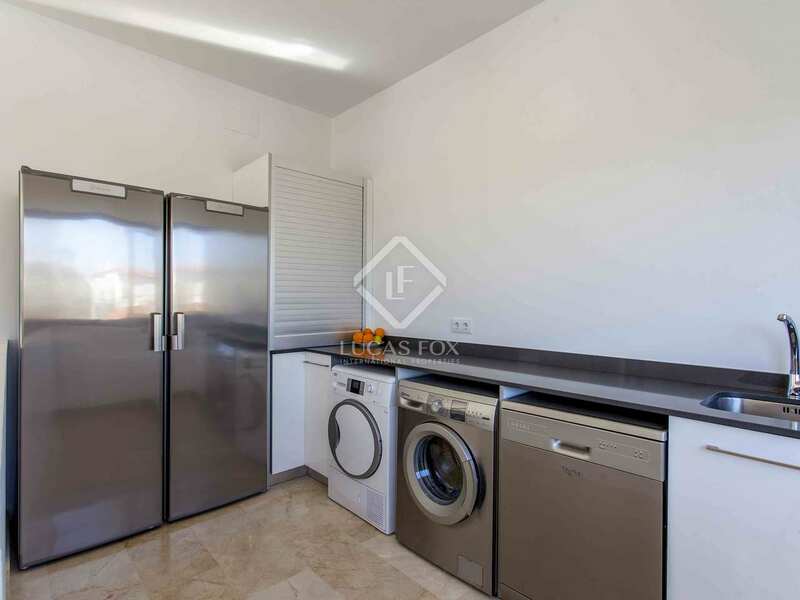 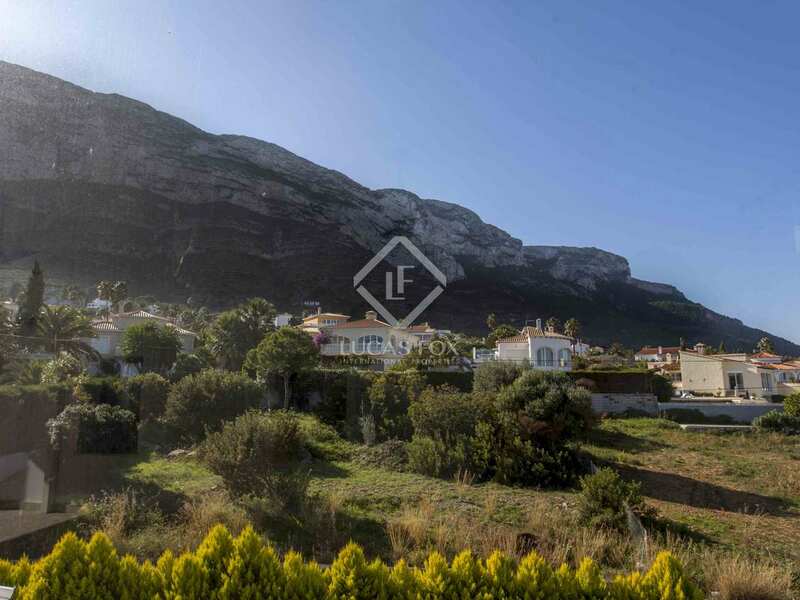 The upper floor has 3 bedrooms (1 with private bathroom), another bathroom and a terrace of 80 m² with views of Montgó and the sea. 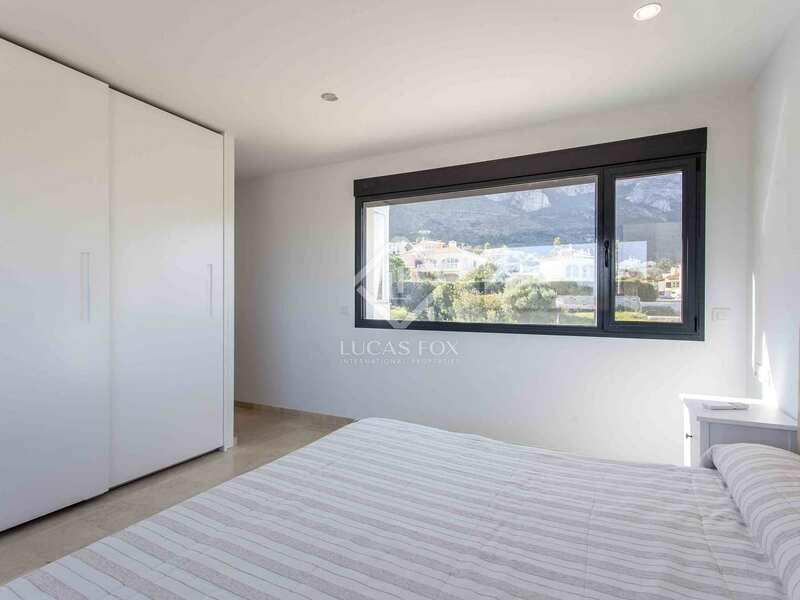 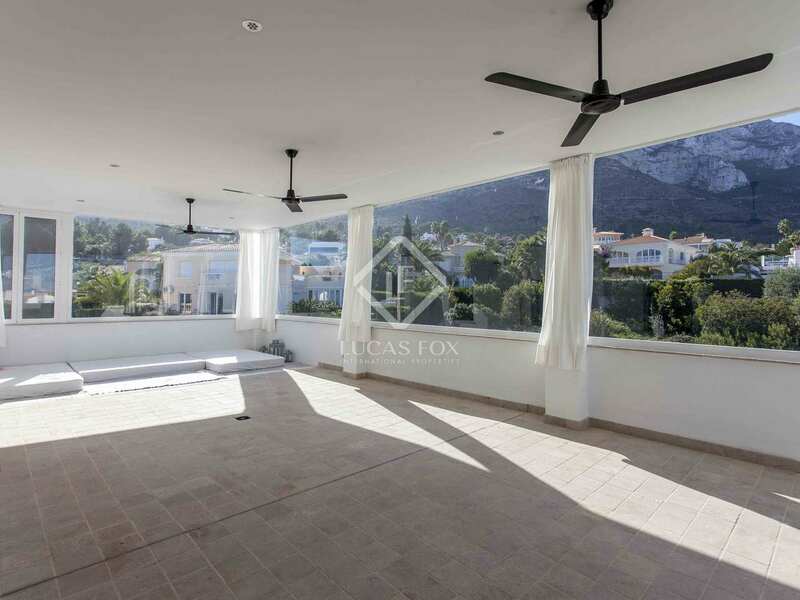 All bedrooms are exterior, receive plenty of natural light, have fitted wardrobes and measure between 15 and 20 m². 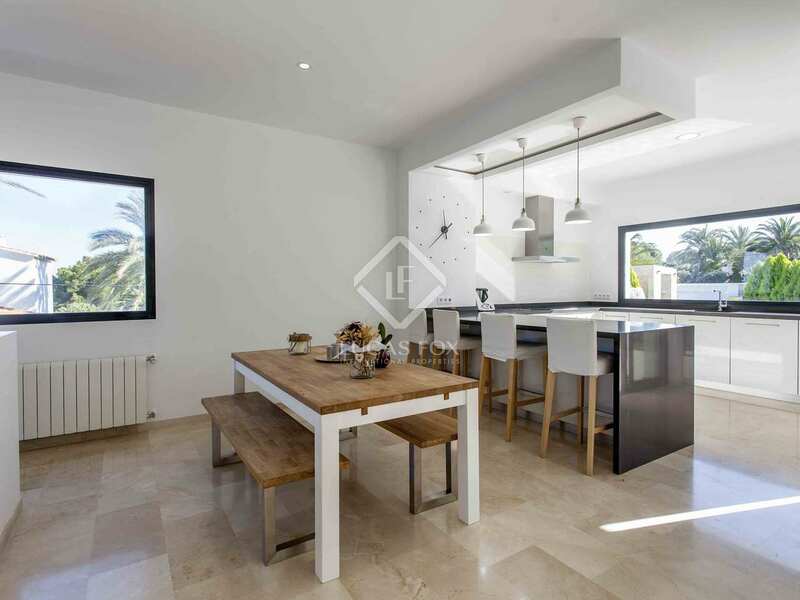 On the basement floor we find an open-plan room with complete independent kitchen, living-dining room and a bedroom with private bathroom. 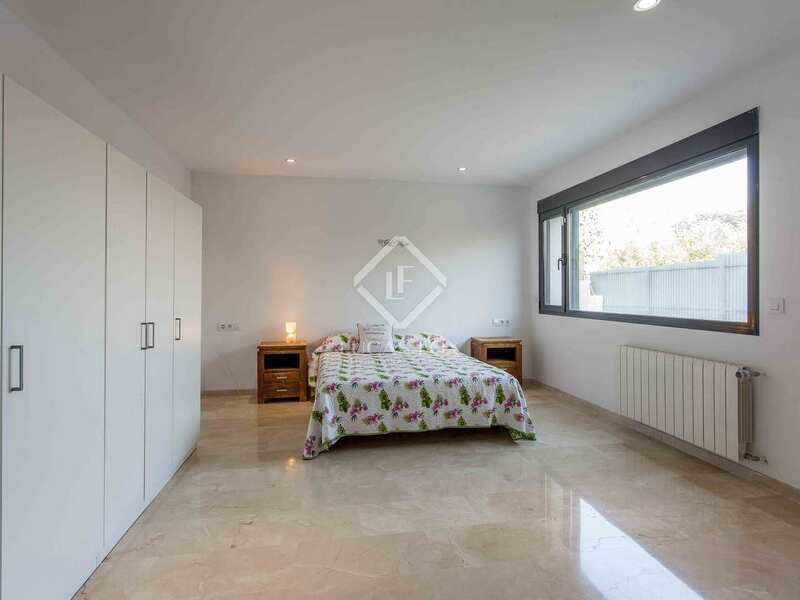 The basement area can be used as desired and there is scope to create further bedrooms if needed. 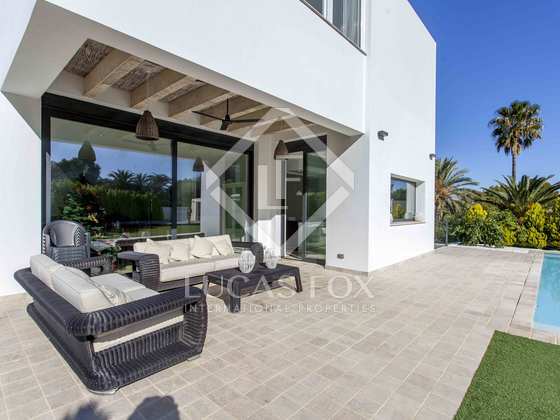 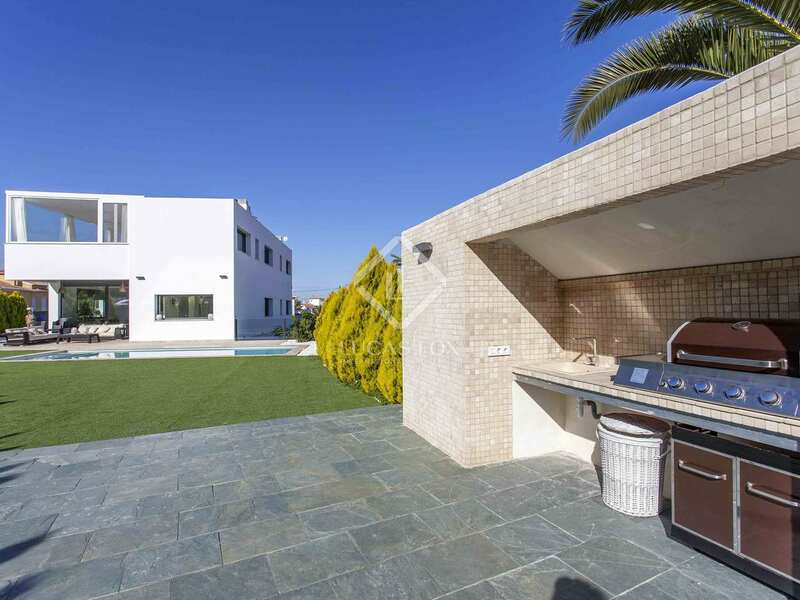 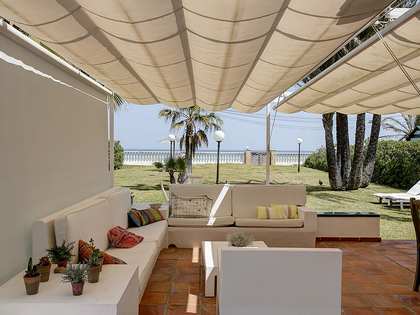 The outdoor area offers an attractive garden with artificial turf, a large swimming pool, a terrace area with teak flooring with sofas, and a barbecue area. 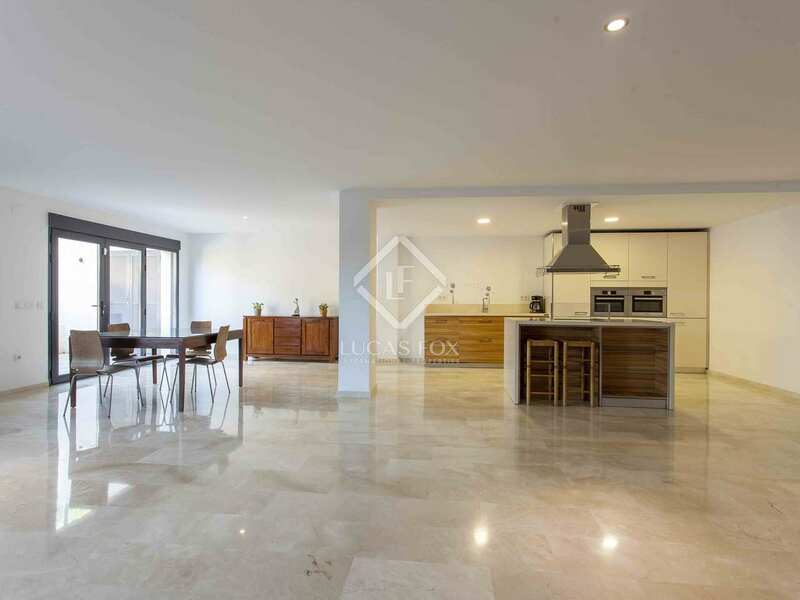 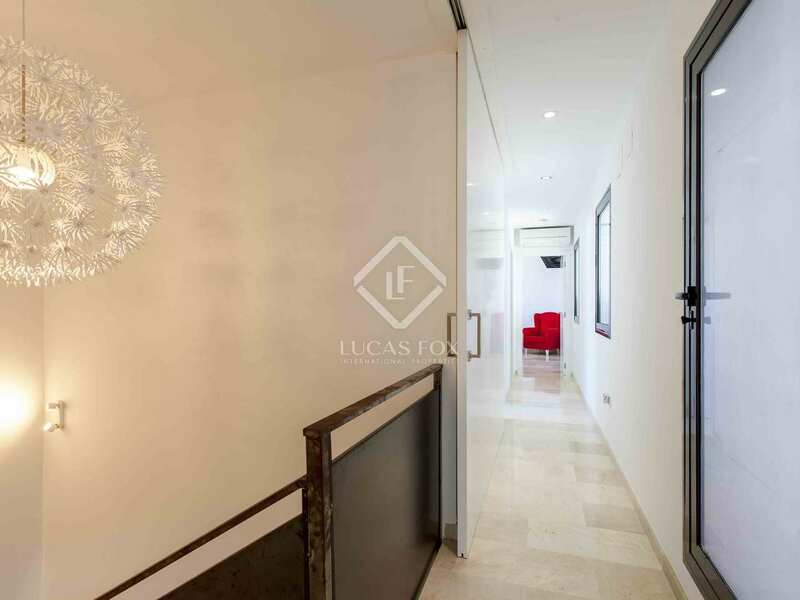 This property is ideal as a first or second residence. 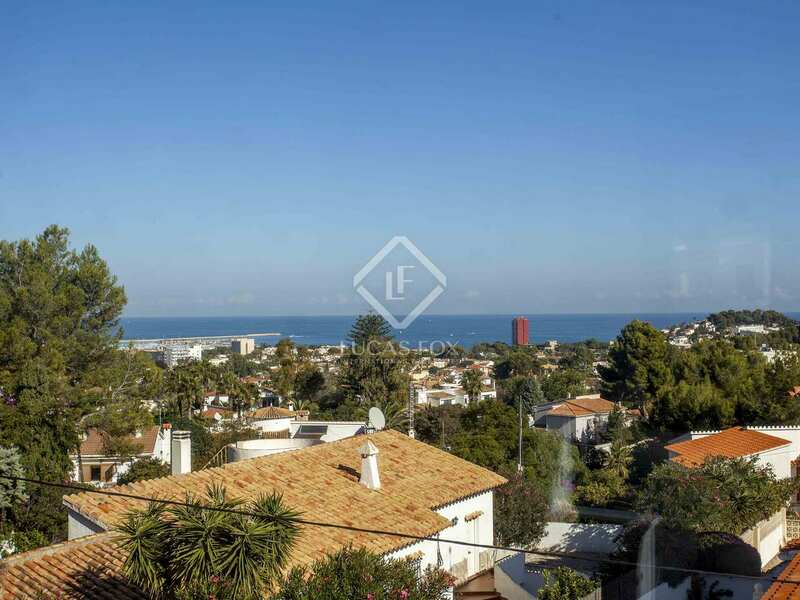 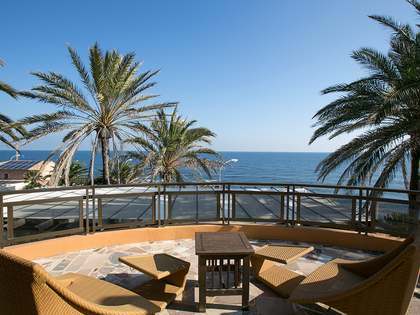 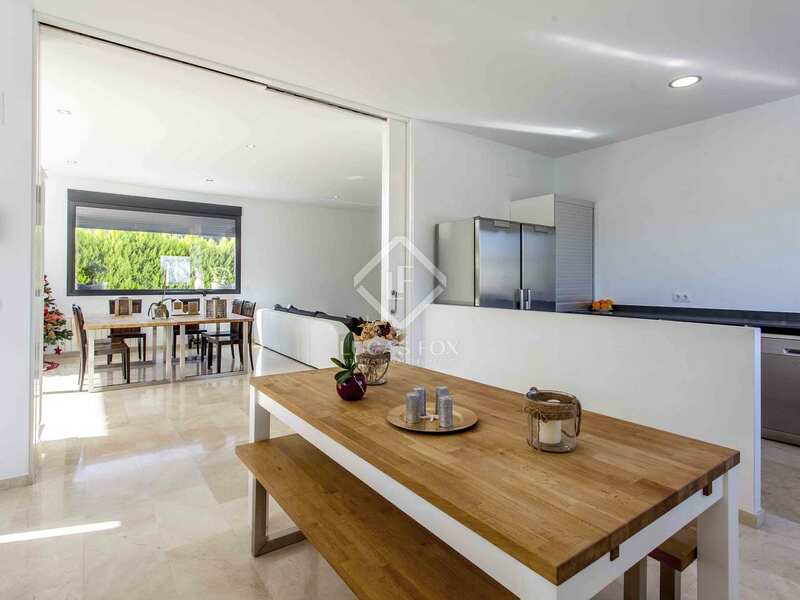 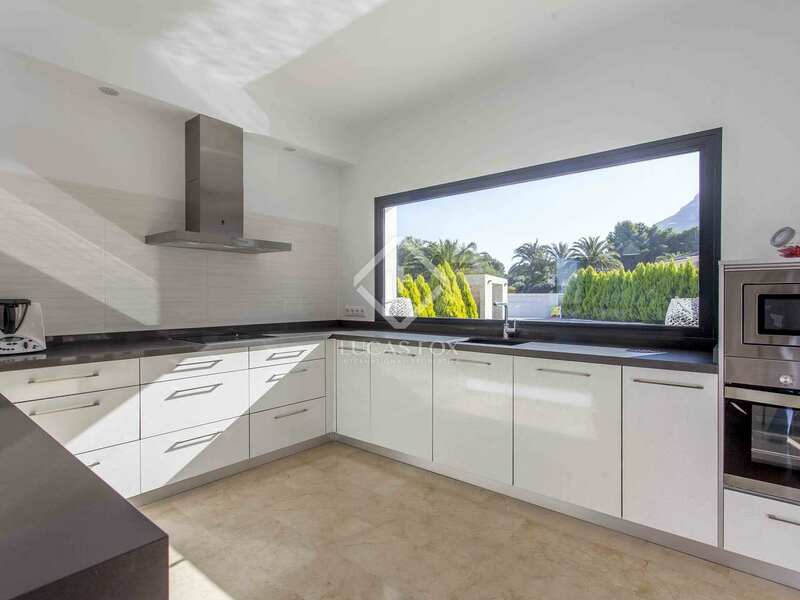 The property is located on Calle Bruc in El Montgó, 3 km from the centre of Dénia and its beaches.